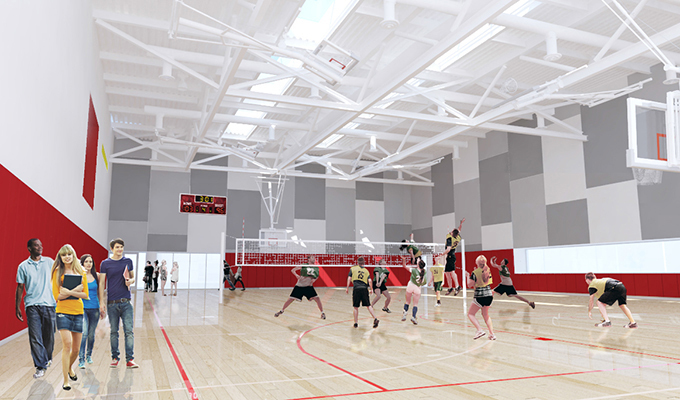 Project Description Construction of a new 132,000 square-foot, three level fitness and sports arena/events center. 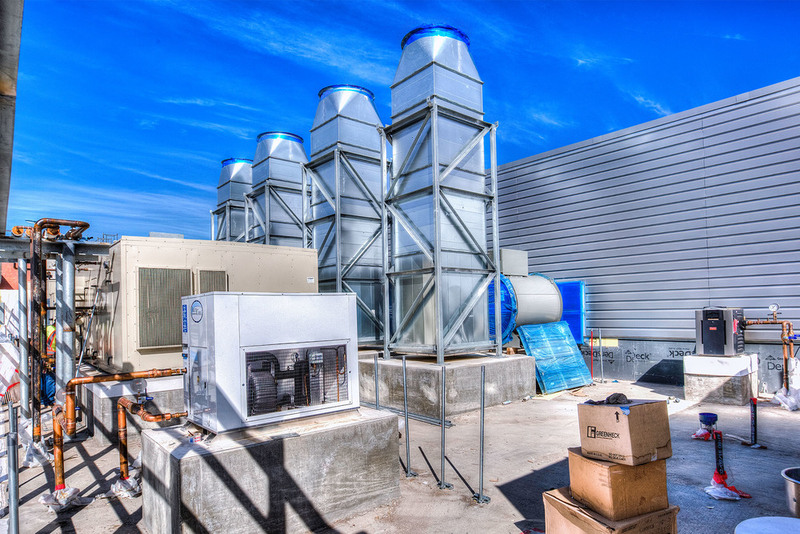 The mechanical portion of the project includes (10) air handlers with VFDs, heat recovery units, smoke evacuation system, fan coils, (13) indoor D/X splits, (3) outdoor condensing units, sound traps, exhaust fans, pumps, motorized dampers, VAV boxes, exhaust valves, duct work, refrigerant piping, cold and hot water piping, and underground hydronic piping. 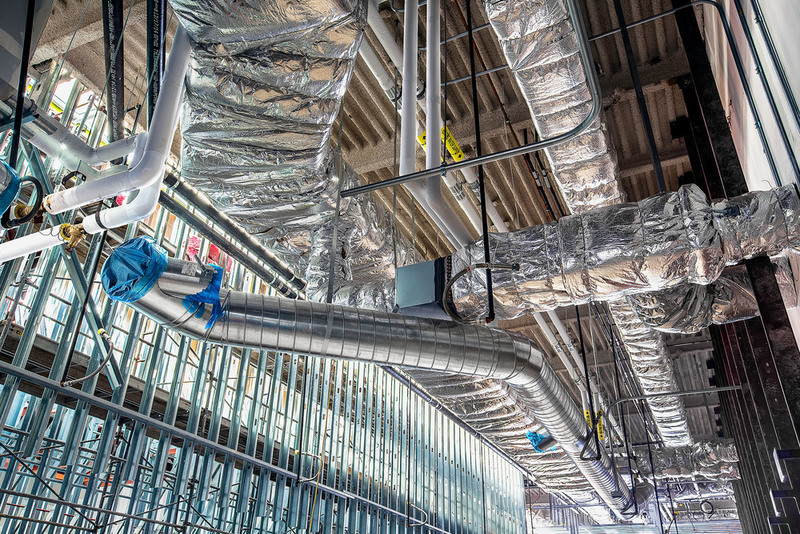 The HVAC system will be supplied by the newly constructed energy-efficient central plant and the plumbing fixtures are all low flow water fixtures. 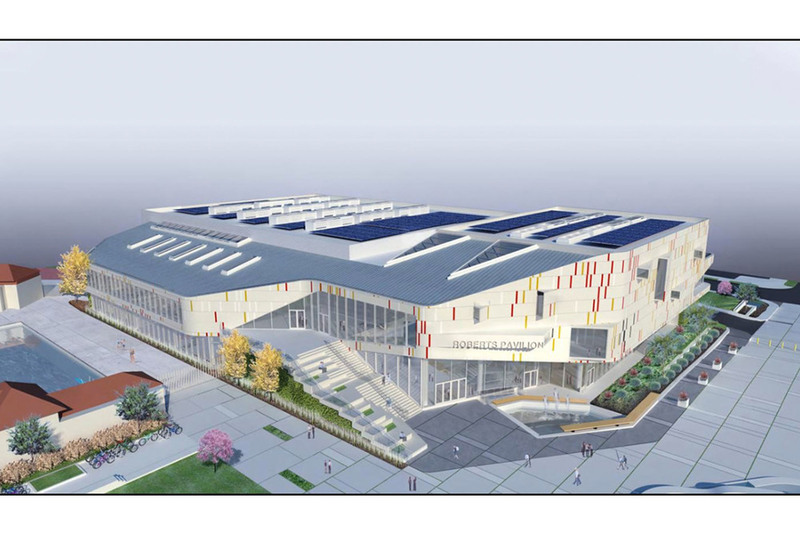 The college will be seeking a LEED Gold certification.